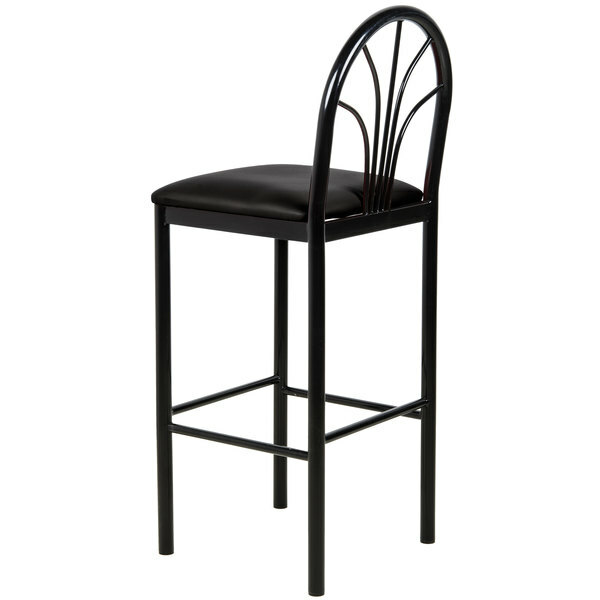 This attractive fan back bar height cafe chair from Lancaster Table & Seating accents the classy feel of any location. 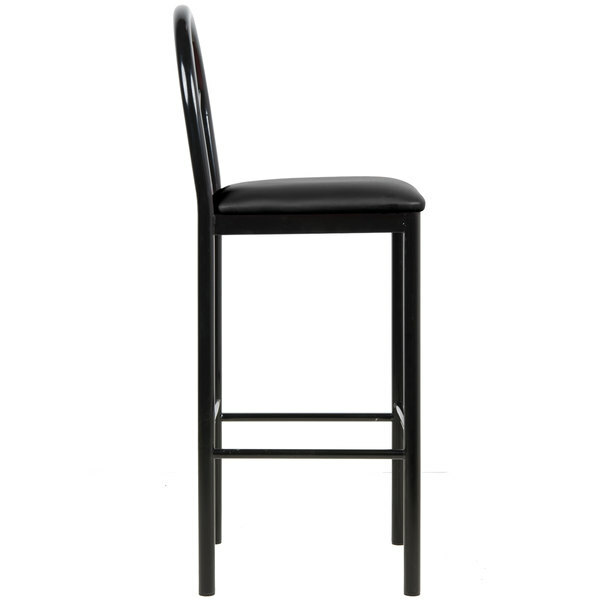 Great for any bar height seating area, whether in a cafe, coffee shop, or bar, this black chair adds style and comfort to any business. It features a plush, 2" padded seat and an integrated foot rest, and is built with a heavy-duty, welded steel frame. Plus, its unique, fan back design ensures great visual appeal for a practical, yet aesthetic touch to your front-of-house. For immediate use upon delivery, the chair ships fully assembled. "These chairs are very comfortable and light weight. They are sleek and easy to clean. They stay shiny and never lose their color. We love these chairs." Slim, curved lines make-up the back of the chair, starting from a central point and reaching up and out to a thick, black frame. This creates a unique fan design that's both simple and stylish and contrasts with the thick, black seat and legs. 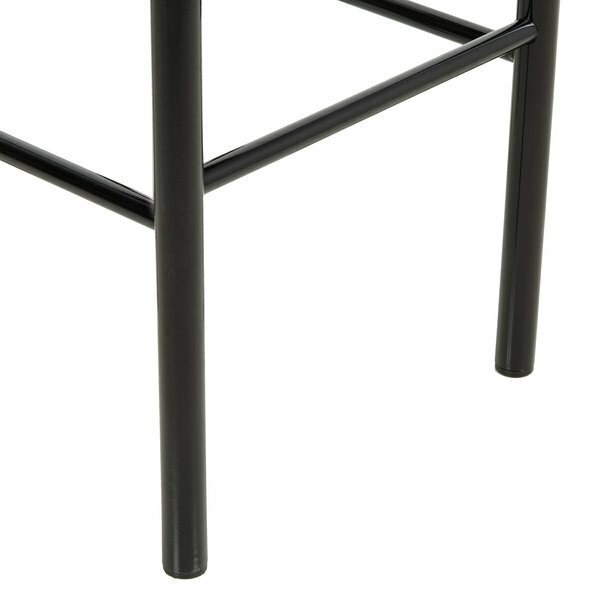 The chair features a sturdy, heavy-duty welded steel frame that is powder coated to help prevent stains, scratches, and smudges. 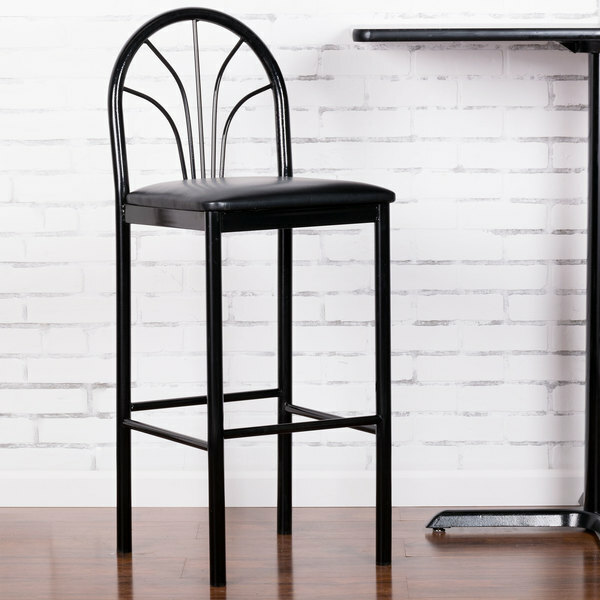 This makes it great for high-traffic bars or busy, urban cafes and coffee shops. Upholstered 2" thick seat padding boasts high-density foam to provide added comfort and support. Plus, an integrated foot rest provides further support for all your guests. 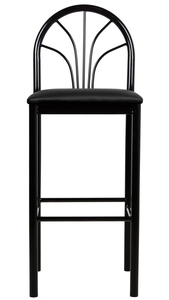 At an ideal height for both bar and raised table seating, this chair is a comfortable option for any business. 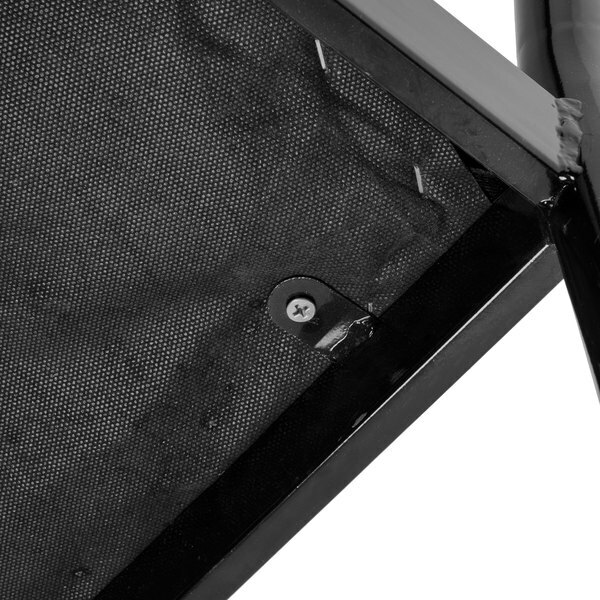 Nylon glides are designed to protect your floors from scuffing, so that patrons can easily and safely push the chair back from the table or bar. The glides also help prevent the harsh, grating sound that chairs can create when scraping across a hard floor. For added user convenience, the chair comes pre-assembled and ready to use right out of the box! This saves significant time and labor during setup. 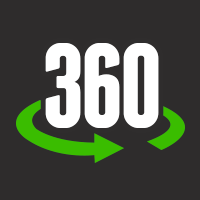 Users can simply unpack it, place it in its desired location, and proceed to more important tasks. These chairs are very comfortable and light weight. They are sleek and easy to clean. They stay shiny and never lose their color. We love these chairs. 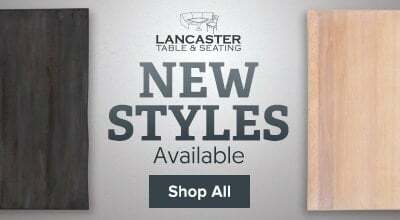 These bar stools are the perfect compliment to the Lancaster Hairpin Cafe Chair. 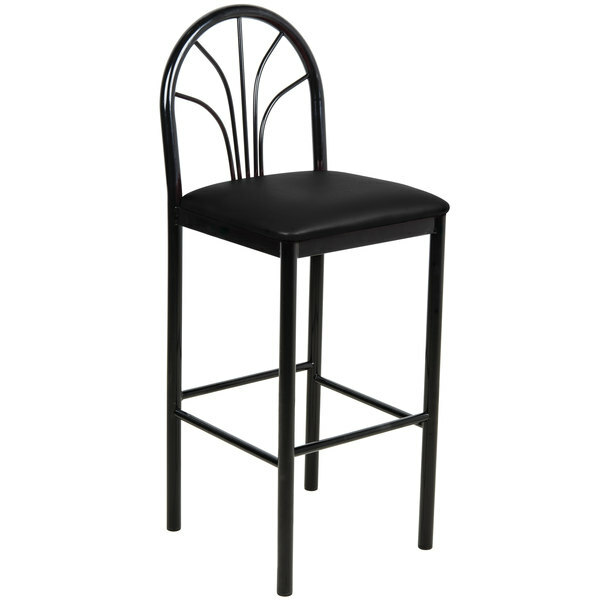 We utilize eight bar stools at the front of our restaurant. These hold up well and have no complaints.